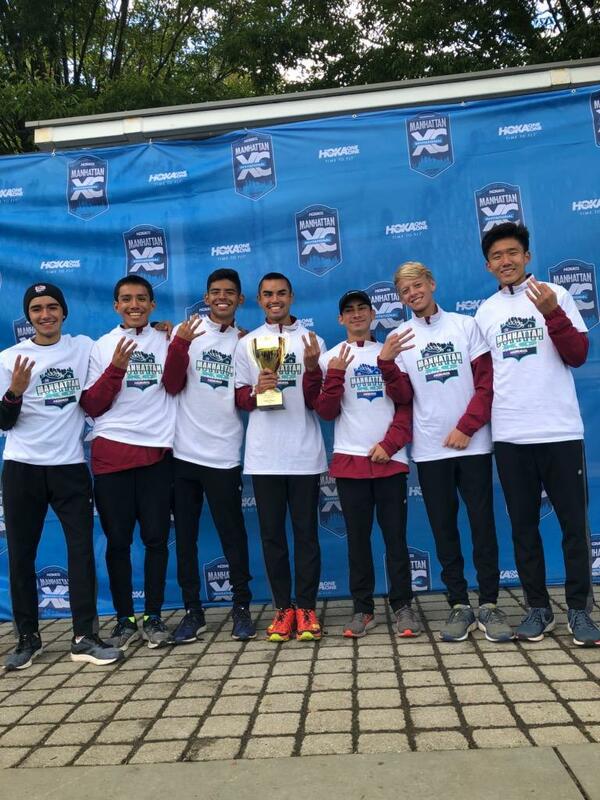 There wasn’t a great deal of movement from the previous rankings, which was a merge of league finals results, as our region’s best teams acquitted themselves well in their biggest races. The rankings were pretty stable over the year, too, as the final Top 10 were all ranked in the first 15 in our Pre-Season Rankings. The biggest move up from 15th to 10th was from South Hills, who advanced to CIF Finals for the first time since 2009. 605 League Champ’s Pioneer, Hacienda champs Walnut and Damien were unranked in pre-season but made the final 15. The Titans advanced to the CIF-SS Div 4 finals, for probably the first time, while the Mustangs ran progressively better all year. Damien was a disappointing fourth at their league meet while running with injuries, but still competed well enough rank #11th in our region. 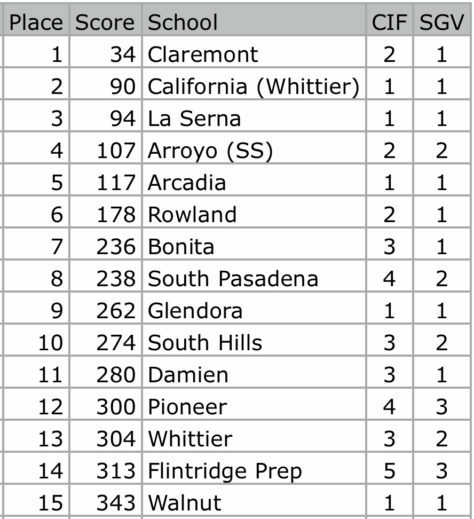 The rankings are adjusted for courses and weather, but since Glendora and Damien were the only teams here that did not advance to CIF, those adjustments were minimal. Also, in the final two columns, “CIF” is each school’s assignment in the CIF-SS’s five, enrollment-based divisions. “SGV” indicates a school’s place in a new, three-division classification for the SGV that adjusts school sizes to reflect demographic factors.